Remembering an icon! 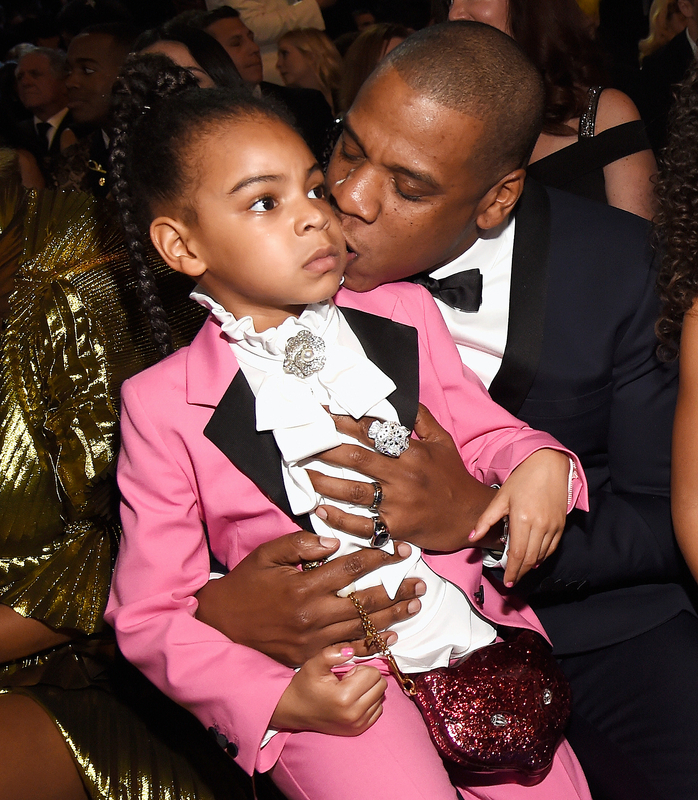 Blue Ivy rocked a pink Gucci suit reminiscent of Prince’s Purple Rain tuxedo at the 2017 Grammys Sunday, February 12. 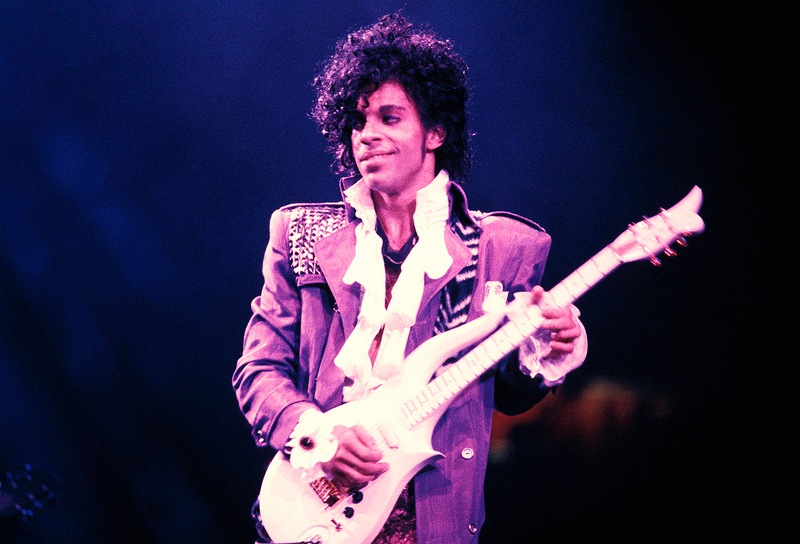 The legend, who died at age 57 April 21 from a fentanyl overdose, will be remembered during the Grammys’ “In Memoriam” tribute. 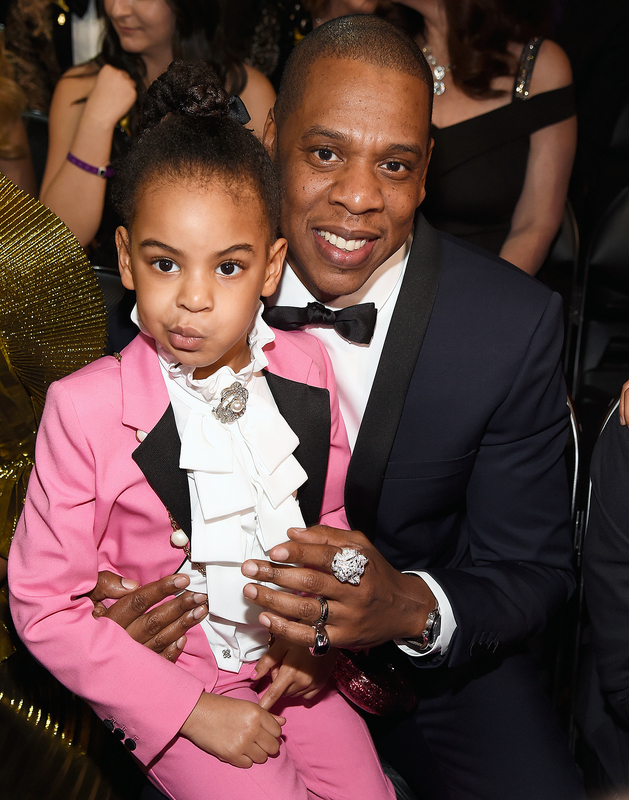 Though the 5-year-old’s parents, Beyoncé and Jay Z, were nowhere to been seen on the red carpet before the show, their firstborn was spotted in the audience with her 47-year-old dad before the “Formation” singer’s performance. Blue Ivy appeared in the digital introduction to her 35-year-old mom’s Lemonade medley. The evening was a family affair, as Beyoncé’s mom, Tina Knowles, introduced her oldest daughter. The little girl popped up again when host James Corden started an impromptu Carpool Karaoke sing-along to "Sweet Caroline" with Jennifer Lopez, John Legend and Neil Diamond himself.